…How to get free, highly targeted traffic to your websites, offers, squeeze pages or where ever you like… And all in space of seconds. And trust me; it’s easier than you think! Now I ain’t gonna lie to you… I didn’t come up with this, infact it’s as old as the hills, but the fact is; this works – and works bloody well might I add. However – as old as this method is, my buddy James has put his own twist on it which makes it even more powerful! 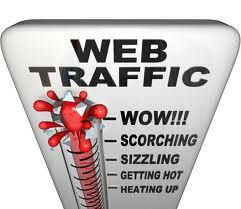 So that said and done… Here’s how to get free, instant targeted traffic to your website! P.S. Let me know what you think yeah. Do ya dig it. Doing something similar? …Or whatever, either way, let me know! And if you want to learn how to make money “set and forget” just go here.